If you’re looking for a new house or apartment, it’s easy to spot what happens in the room and who lives there simply by looking at the items in it. A big, comfy couch in front of a big TV means time spent on leisure and relaxation; a long dining table means a space to gather over a meal, whereas a small kitchen with a breakfast bar and no table usually means the owner creates simple meals that are consumed quickly. Similarly, the space in our office determines behaviour at work. 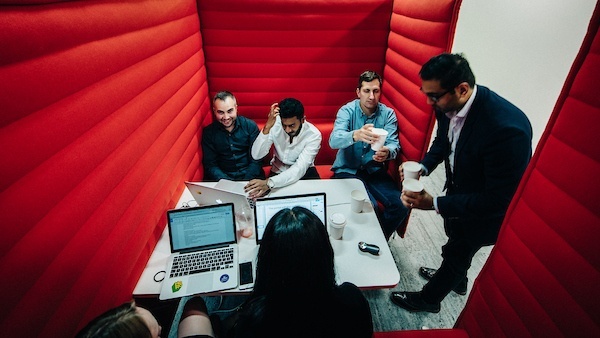 If senior leaders are physically separated from the rest of staff and cubicle walls prevent people easily seeing and conversing with each other, then a siloed office culture should come as no surprise. If an office kitchen has no space to sit or eat together, then it’s likely employees eat at their desks or, worse, don’t take a break. These spaces might work well for certain companies and workplaces, but more often than not, the space we’re working hasn’t been designed with any intention (let alone employee engagement!) in mind. 'Workspace' is more than your physical work environment. 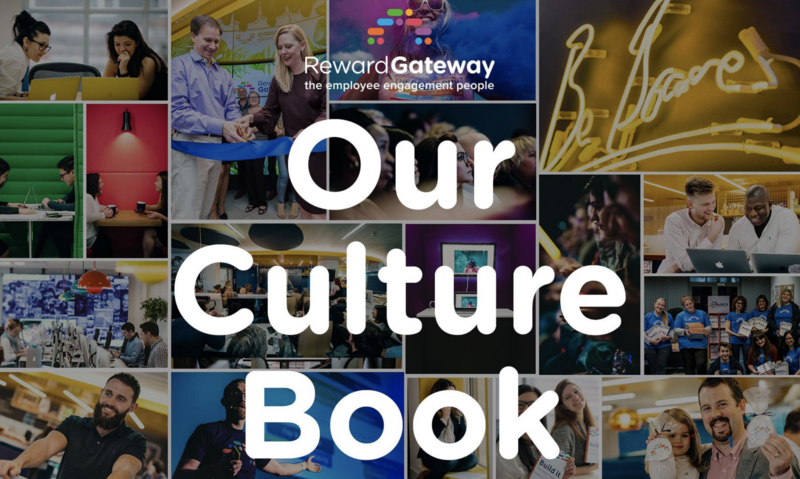 It’s less to do with how cool your office looks, and much more about the tools, practices and policies you put in place to enable meaningful and engaging work. So before you spend thousands on a ping pong table or making beer available on tap, let’s look at the top 10 workspace wants that you may want to look into to positively impact long term employee engagement. Even if team members have identical responsibilities, no two people work in exactly the same way at every time of day. This is why it’s important to create an agile work environment that accommodates for diverse and changing work styles that have space dedicated to both improving collaboration among teams and allowing for more focused work. It also means giving employees the freedom and flexibility to determine when and how they use that space. For many people, this usually means letting go of old ways of working and embracing new practices, like not having a dedicated desk. It might be weird at first, but the benefits of being able to move and work around different people throughout the day will usually outweigh the initial discomfort. If you want people to collaborate and work together, then enable and encourage it by creating the space and providing the tools for it. Providing space to collaborate doesn’t necessarily mean having to knock down walls or remove desks for a large, formal area like a meeting room. It can be as simple as setting up a couch or a small round table near workstations so people can quickly grab a seat, sit down, and talk together. It may also mean embracing new technology and communication systems that allow people to connect and share information quickly and efficiently with instant messaging, video calls, and document collaboration. It might seem scary at first, but you’ll soon wonder why you waited so long to use tools that make work easier. When you introduce these things, can employees easily find and access setup information and office policies on an internal website or employee engagement platform? To help employees adapt to new workspace equipment and practices, information needs to be available to everyone from one easily accessible source, so they can learn quickly and feel supported through the change. 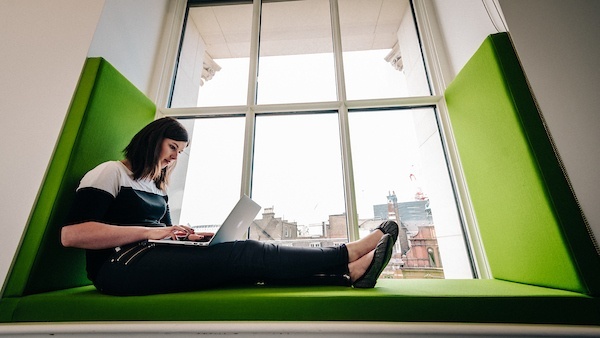 In the absence of dedicated booths or small rooms, you can also have a dedicated “quiet area” of the office, where people keep conversation or communal music to a minimum. While creating space to get energetic and productive is vital, having the facilities to wind down is just as important. Performance declines if we’re focused on the same thing for over an hour, so providing simple items in a communal kitchen area — like tea and coffee and a toaster, microwave and fridge — allow people to take brief breaks and reboot. A study conducted by psychologists at the University of Illinois found that brief mental breaks will actually help you stay focused on your task. Research shows we have a limited capacity to concentrate over extended time periods, so breaks allow us to pause, reevaluate, and re-energise. Great teams are built on strong relationships, which is why it’s important to encourage social interaction and informal communication. This can be as simple as ensuring there’s space for people to sit down and have lunch together or organising Friday afternoon drinks, to changing where and how people sit together. Jessica explains one benefit of hot-desking is that you’re able to get to know so much more about the people and the operation of the business than if you sat around the same people every day. “If you sit in a different spot, you’re potentially sitting with different teams and you hear and get involved in different conversations,” she says. “And you gain knowledge when you hear people talk about different departments in the company. Instead of being stuck in the same spot, hopefully this spurs you to be a bit creative. Another benefit of hot-desking is that it forces you to have a clear desk — or at least “minimalist” — desk policy, where employees take only what they need, and nothing else. While having a space to put up family photos or personal decorations can provide a sense of ownership, it can also have the negative effect of people being territorial or inflexible with how space is used. To achieve balance, you could provide space that employees can personalise (like lockers) while keeping the rest of the office work space distraction-free. Natural light, plants, and natural timbers and materials all add an element of calm to workspace while encouraging productivity. Exposure to natural light during the day supports our natural circadian rhythm which means we stay alert when we’re meant to. 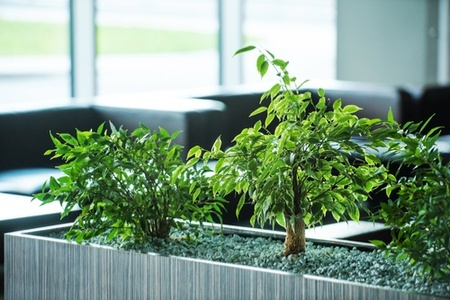 A Norwegian study suggested that thanks to the improved air quality and psychological value of natural plants, having them in the office helps to reduce fatigue, headaches and concentration problems, as well as reducing the presence and spread of coughs, sore throats and dry skin. What do white walls and bright fluorescent lights usually remind you of? A hospital? A dentist’s surgery? The clinical atmosphere is perfect if you work in the health industry and want to create a sense of cleanliness and hygiene, but maybe not so appropriate if you want to create a sense of comfort or creativity. Introduce bright colours to create energy or warmth, or to signal different spaces for different purposes. It should probably go without saying, but you might be surprised with the number of people who forget about the basic necessities of providing a clean, hygienic and safe work environment. While that means making sure the toilet amenities and work spaces are kept clean, it also means treating any pest problems and removing hazards as soon as you’re aware of them. 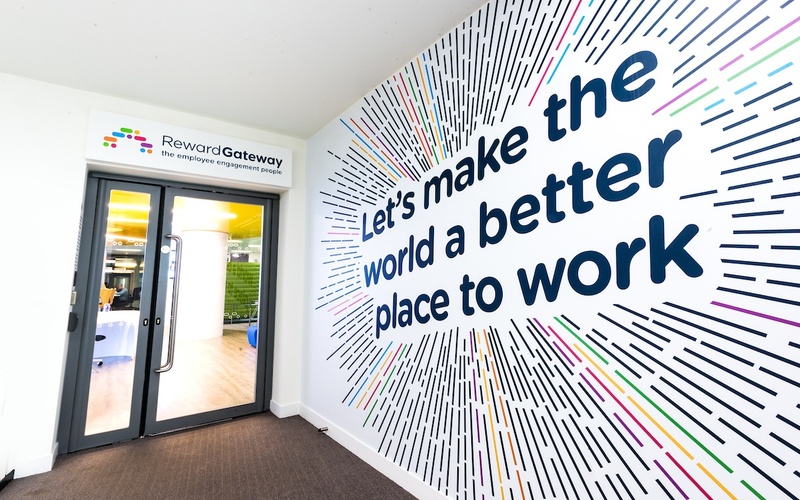 At Reward Gateway, one of our company values is Be Human. That means we believe that every colleague, client, partner and supplier is a human being with unique likes and dislikes, and that it’s critical to empathise and understand what each person needs to be happy and successful. 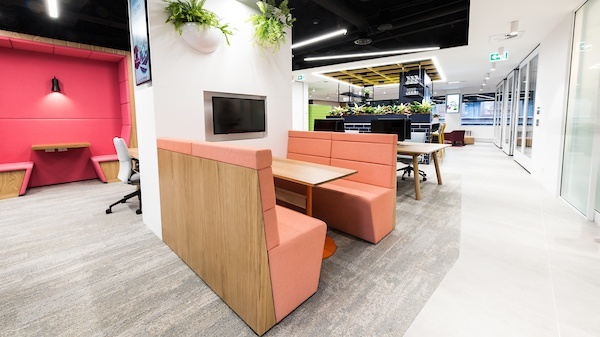 When we design our hubs, we’re always conscious of this value and do our best to create an environment where people can themselves and bring their best selves to work. Every business is different and your space should reflect the culture you have as well as the one you’re trying to create. It’s a bit like dressing for the job that you want, not necessarily the job that you have — if you want to create a company that attracts a certain calibre of employee, then create an environment your current employees are proud of, something that they want to and can share with their colleagues and clients, and will attract and excite new people as they join you on your journey.